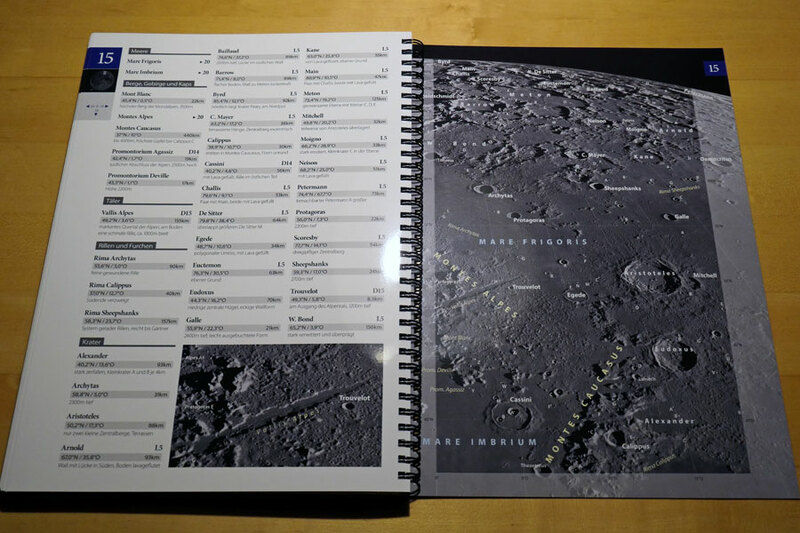 On this page, I provide an overview of the "moon walks" and some information about the moon. 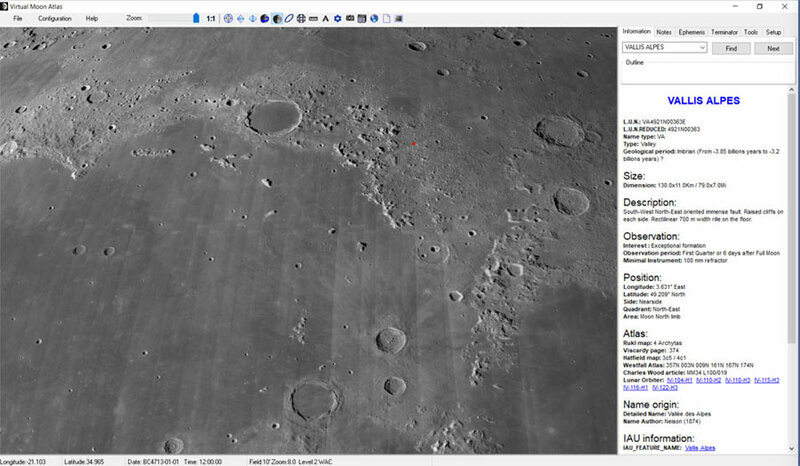 See alsp page How Small Objects Can You Recognize on the Moon? Smallest angular diameter 29' 26"
Largest angular diameter 33' 30"
Dorsa Ridge Sea ridges mostly occur within complex systems of ridges. 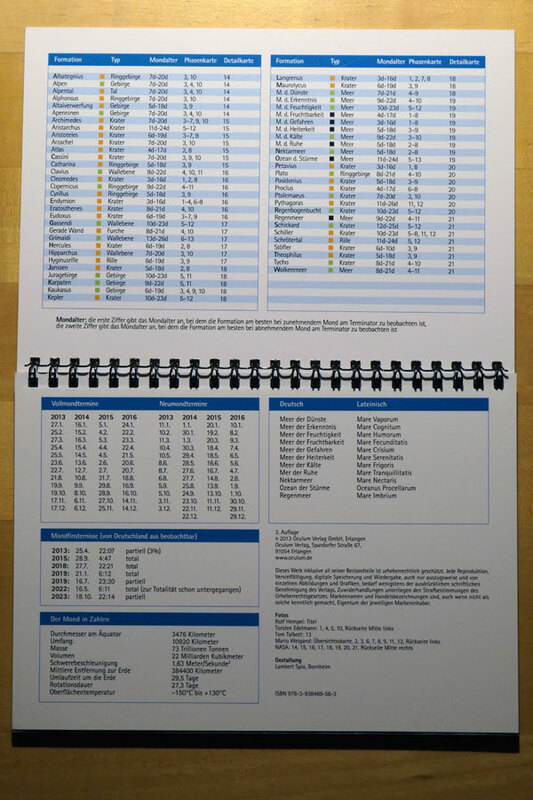 Seas (lat. 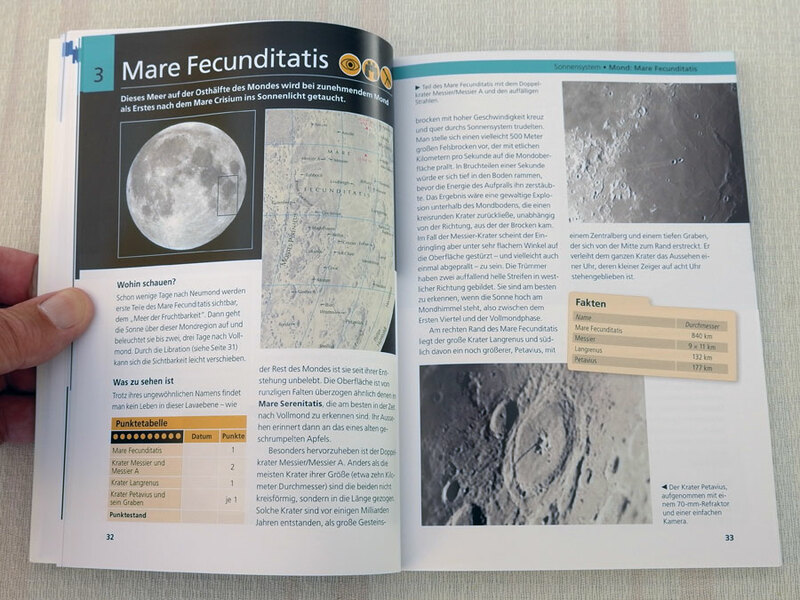 Mare) are largely flat, often circular basins and irregular depressions, which very created by the impact of very large celestial bodies that hit the lunar crust and which were later flooded with dark lava. Highlands (lat. 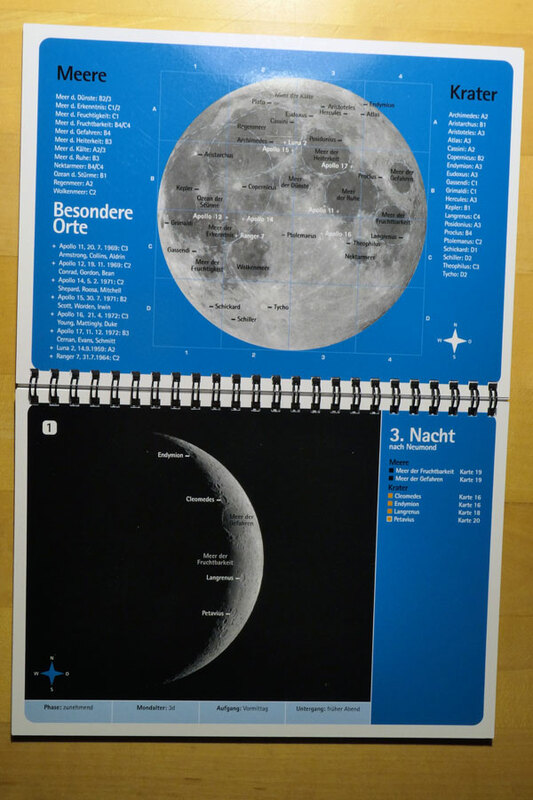 Terra) are the bright areas of the moon's surface. They used to be considered continents. 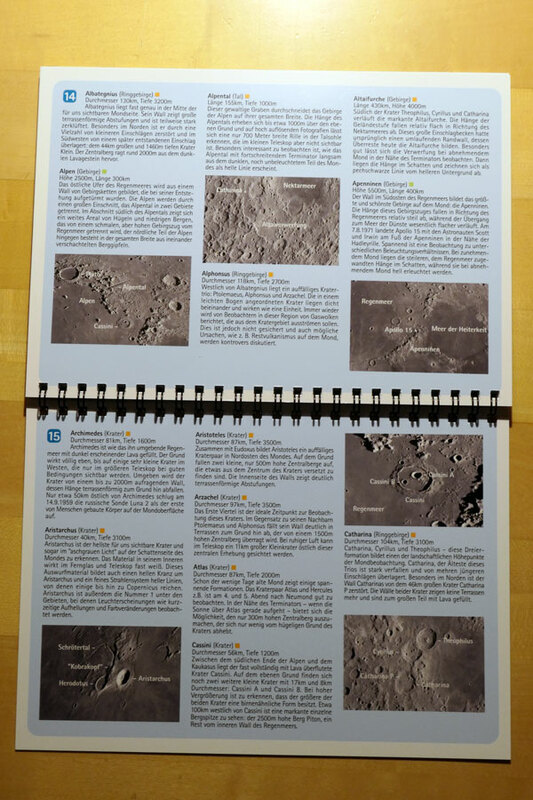 They are structured like mountains, dotted with countless craters and traversed by valleys, making them the most richly structured lunar surfaces. Craters in the true sense of the word are about 5-60 km in diameter. They are usually round in shape and stand out clearly from the ground. The inner wall is smooth and there is no central mountain. Small craters up to 5 km in diameter are called small craters. With a diameter of 20-100 km, the ring mountains also have a well preserved and clearly defined wall. The inner slopes are typically terraced, and a central mountain rises above the ground. Wall plains are even larger craters with a diameter of up to 300 km. The wall is usually already decayed or covered by later impacts, and the bottom is flooded with lava. The "real" mountains (lat. 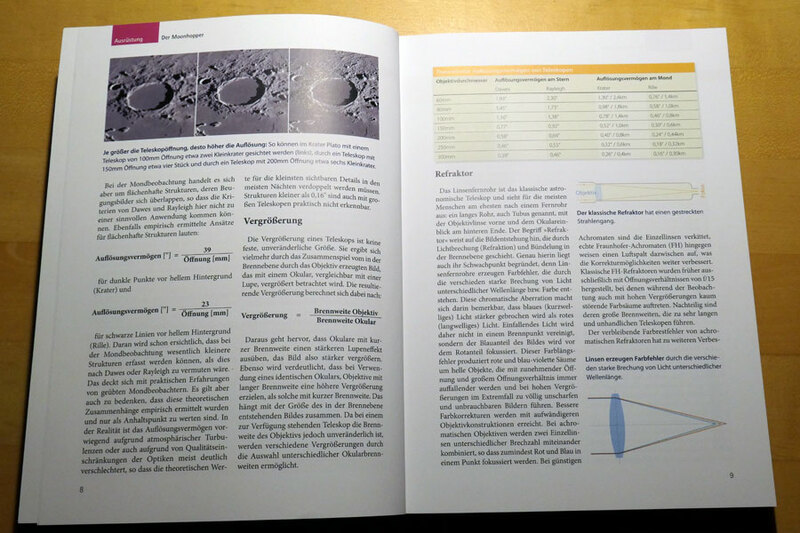 Montes) of the moon usually run along the edges of the moon seas. They are mighty crater walls which were formed during the formation of the moon seas and later partly flooded with lava. They reach heights of up to several thousand meters. In the telescope, the mountains look very rugged due to the shadow cast. In fact, however, they are more comparable to huge hills. Single standing mountains (lat. 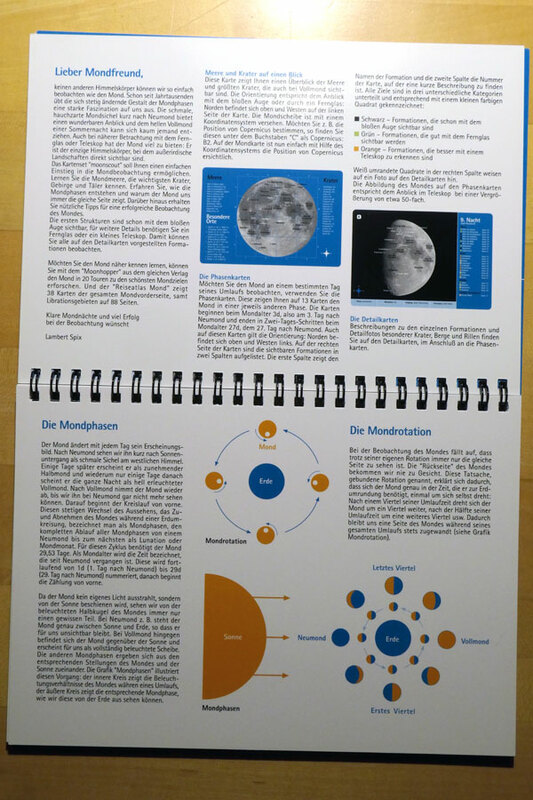 Mons) are to be found practically only in the moon seas. These mountains are also peaks of crater walls rising from the lava-covered plains. Crater valleys: Craters, ring mountains and wall plains are most common on the moon. Crater valleys are linear formations of overlapping impacts. These probably originated from secondary impacts during the formation of the great seas. Lava valleys resemble earthly rivers in appearance, have a twisted form and are collapsed former lava rivers. Collapse valleys are caused by subsidence or collapse of the underlying rock layers. Lava rillae are like lava valleys, former lava caves. Cracks in the moon's surface have been caused by tensions in cooling lava. The term furrow (lat. Rupes) is equated with a whole series of terms: steep slope, mountain slope, or cliff. Remains of ring mountains or crater segments. 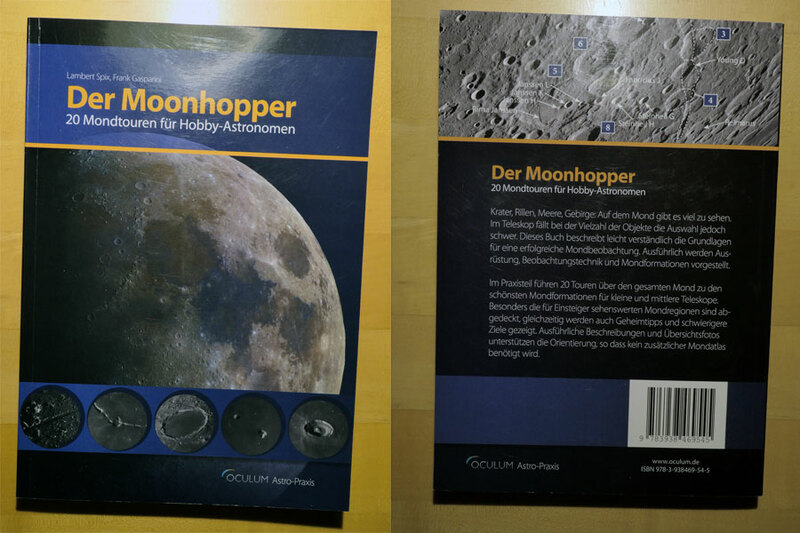 Regrettably, I only own books about the moon in the German language. 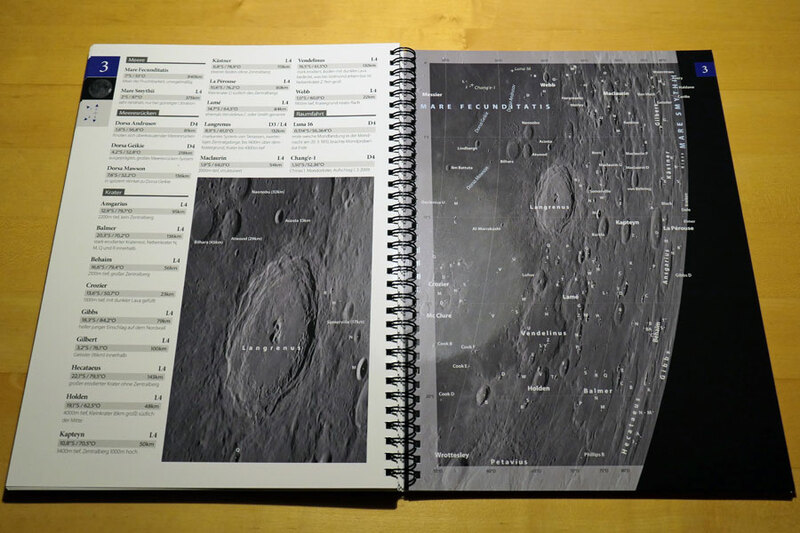 Many small craters are not named and for even fewer the diameter is given. 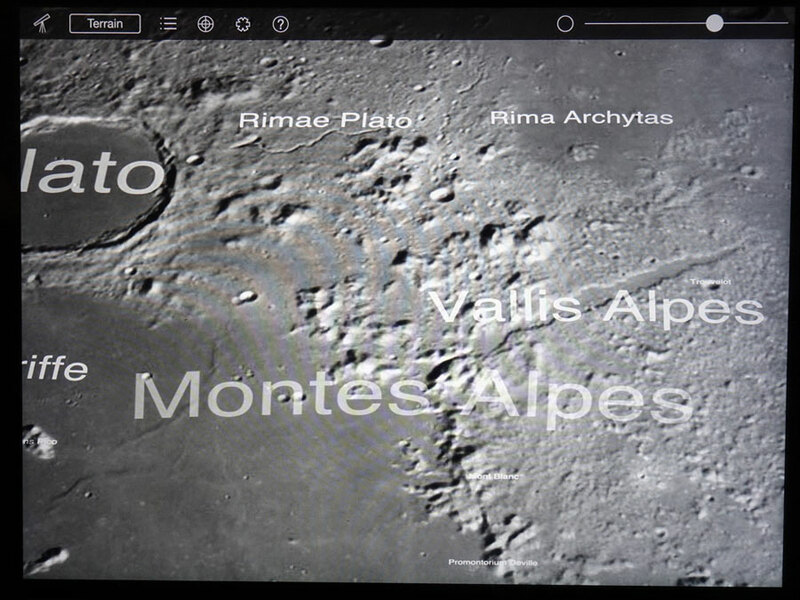 Since I am interested in the diameter of small craters, I always have to go to the Virtual Moon Atlas to find them out (which unfortunately has its own quirks, so that I have to restart the program again and again...). 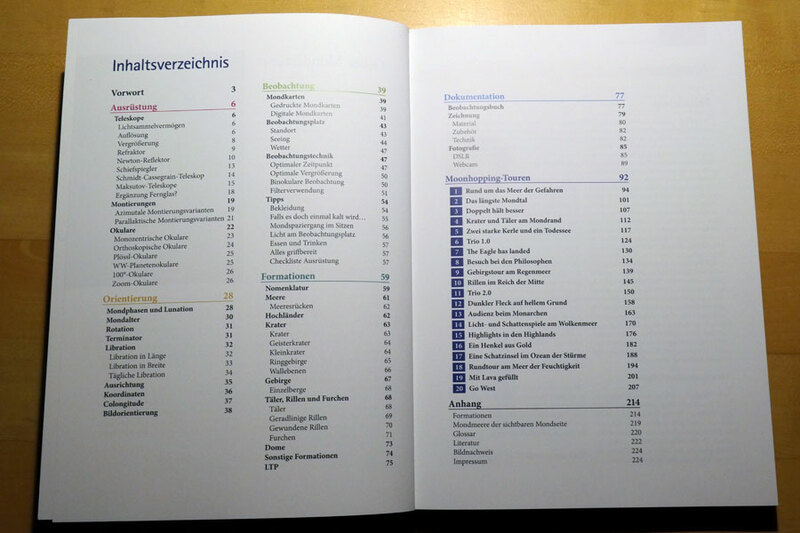 Note: Regrettably, this very useful book seems to be out of print - at least, in Germany. I managed however, to buy used copies, because I wanted to give this book away as a gift. I assume that the English version is also out of print, because is has an ASIN number. 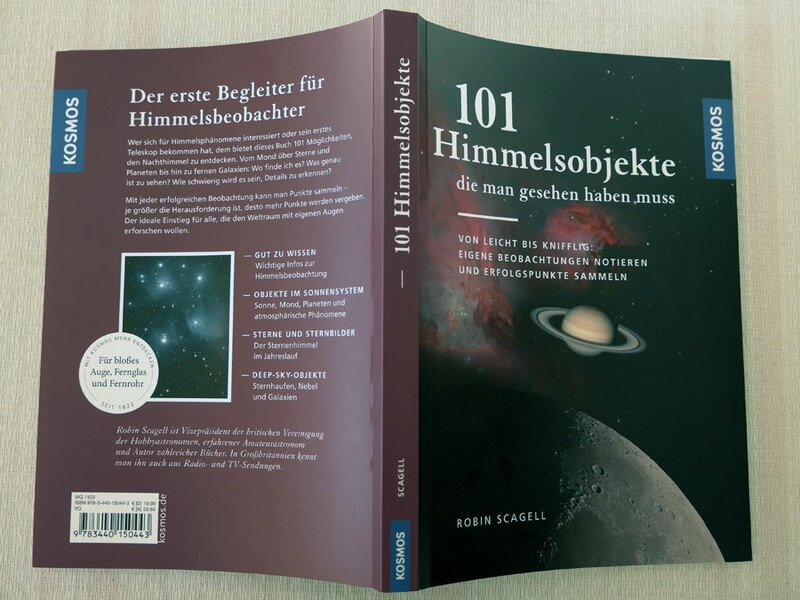 The book 101 Objects to See in the Night Sky (German version: 101 Himmelsobjekte, die man gesehen haben muss) by Robin Scagell is primarily directed at young sky observers, but also at older star friends and people who return to the astronomy hobby. 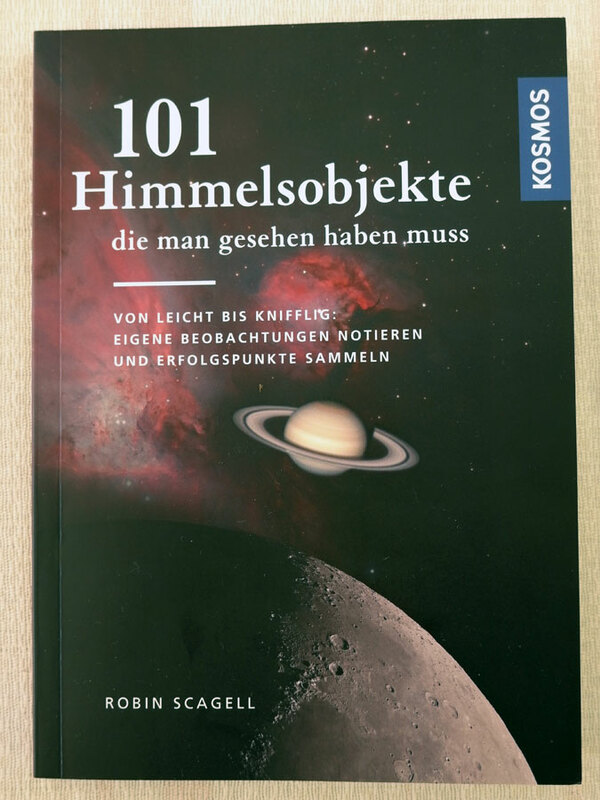 It can therefore rightfully be called a "beginner's book," and since I regard myself as a "permanent beginner" I looked into the book and bought it, because it convinced me, although I have already observed a considerable fraction of the objects that are described in the book. 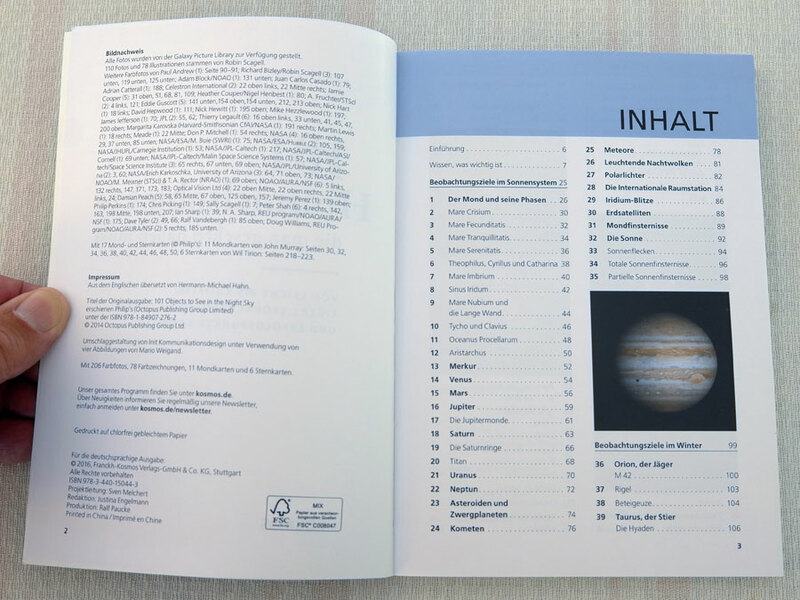 Thus, this book serves me as a "reference" for the most important objects in the sky, and as a "reminder" of my own observations. 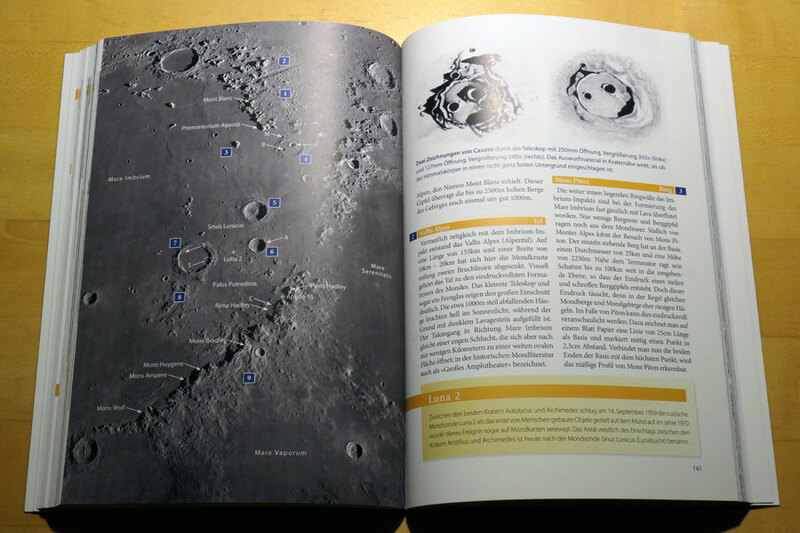 In addition, the book deals with the moon, which I have so far paid little attention to in detail (for example, craters and mares). 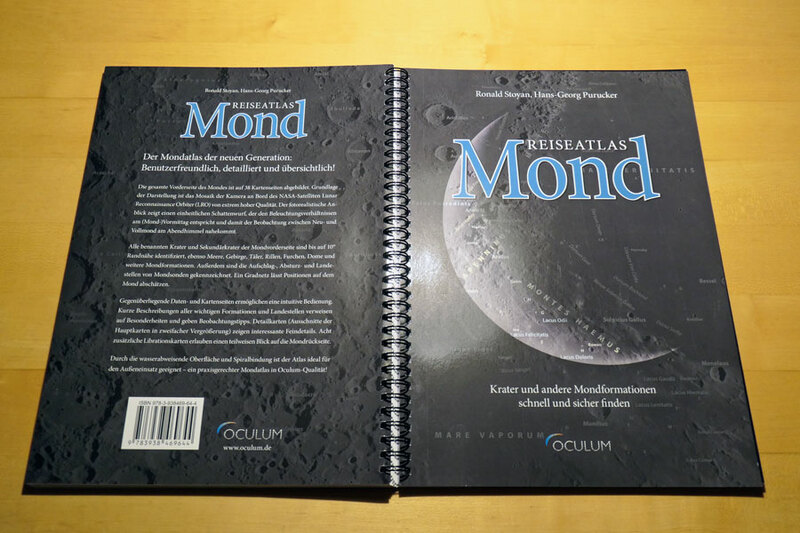 The Virtual Moon Atlas is a great piece of open source software, but perhaps a little outdated. 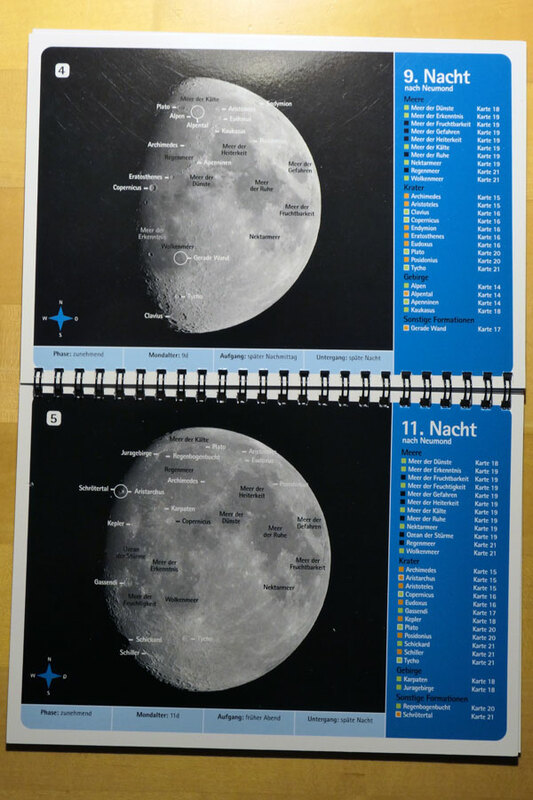 And it is not as "attractive" as the Moon Globe app (see below). 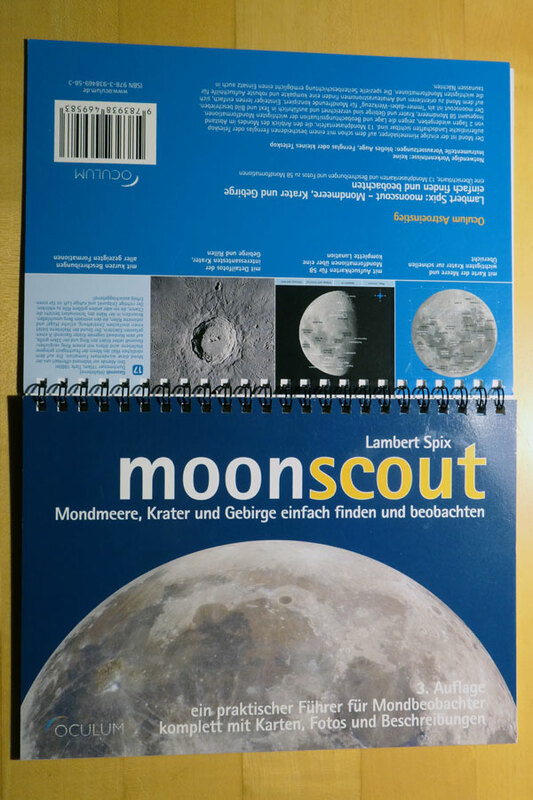 Nevertheless, it is useful for me, because it provids me with information that Moon Globe does not deliver, especially the names of small caters and information about them (like diameters). The last update was in 2012 and my Macintosh version does not run at all. Luckily, I can also run Windows on my Macintosh computer and so I use the Windows version. 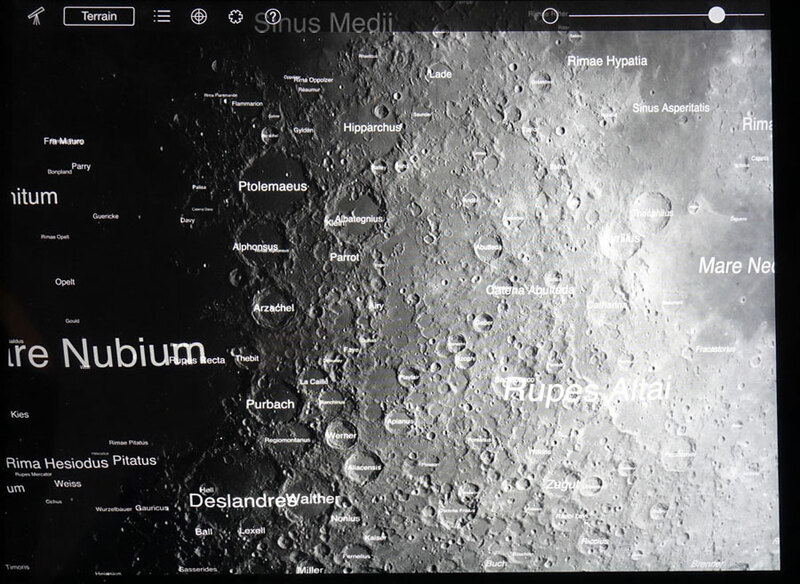 From time to time, however, it freezes on my computer, and I habe to restart AtLun, which is the moon atlas. 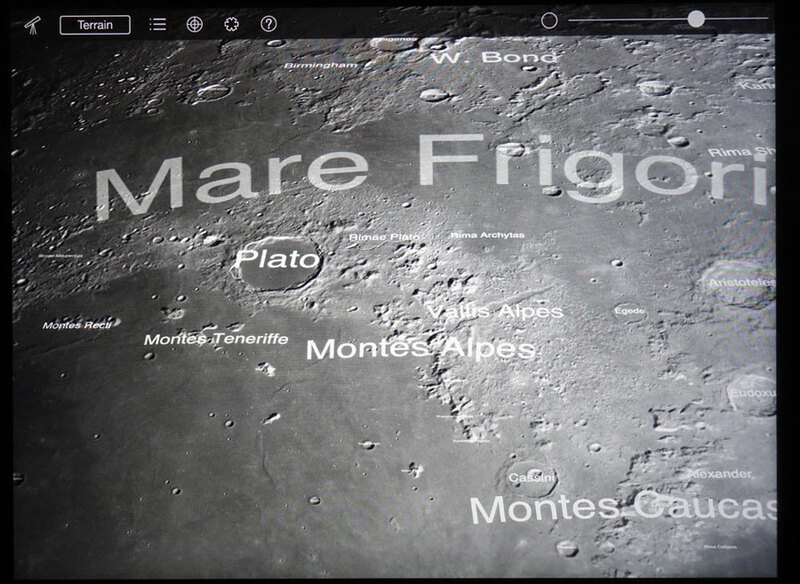 Moon Globe (HD) is a 3D simulation of earth's moon that you can manipulate with the multitouch screen. 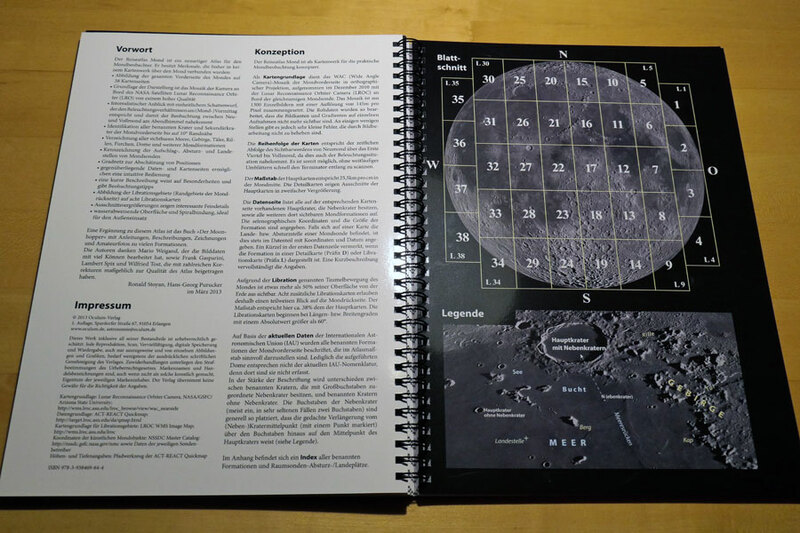 It features realistic realtime lighting, a catalog of lunar features, and a compass to show the Sun and Moon's position in the sky (from the developer's Website). 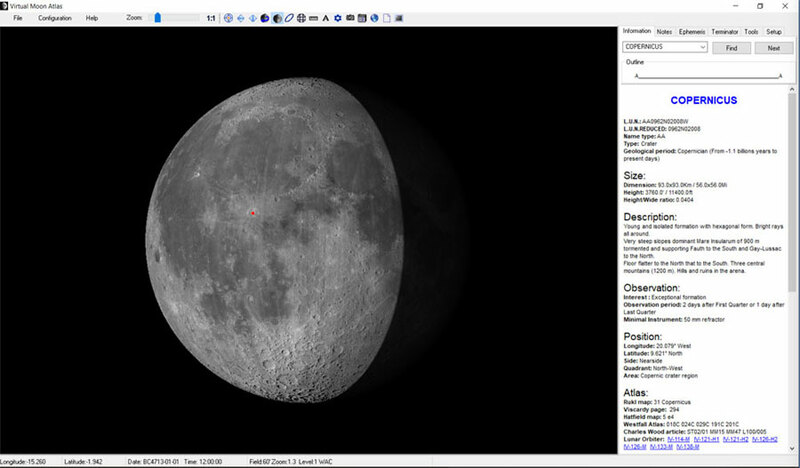 I personally think that this is a great piece of software for exploring the moon. I also bought the HD version.